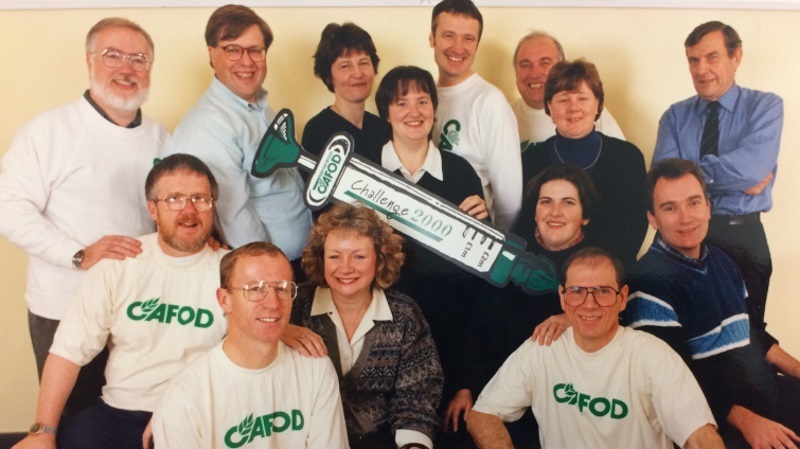 This November CAFOD’s legacy information officer, Heather, will be leaving CAFOD after 26 years. Here Heather reflects on some of the milestones and changes she’s witnessed during that time. 26 years is a long time to spend in one place but, as I approach my retirement, I feel fortunate to have worked for an organisation that makes a difference. The seeds of my interest in overseas development were sown by the teachers, priests and relatives who encouraged me to care about people in poverty. Readers of my generation will remember the images of starving children in Biafra during the Nigerian civil war (1967-70). 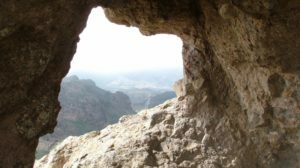 As a teenager I didn’t understand the complex and dangerous circumstances in which agencies like CAFOD were working on the ground; but I knew I wanted to help. Years later, the call to action for my daughter’s generation was Michael Buerk’s report of the 1984 Ethiopia famine. Sr Colette, a remarkable nun who was running a feeding programme for malnourished children, told our parish how important the support she received from CAFOD was. 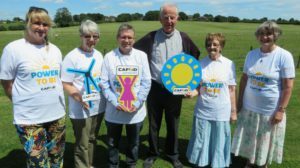 In 1989 I joined CAFOD as parish promotion secretary; supporting the Friday self-denial groups, volunteers, regional organisers and parishes. There were around 50 staff in our Brixton office then and we’d just opened our first international office in Albania. We now have 13 overseas offices and colleagues based with partners in a further five countries. With half of our staff now ‘on the ground’ we’re better placed to monitor situations, respond to emergencies and support communities than we used to be. And although our Eastern Europe office closed in 2007, we’re once again working with our Caritas sister agencies to help refugees and desperate families on our own continent. 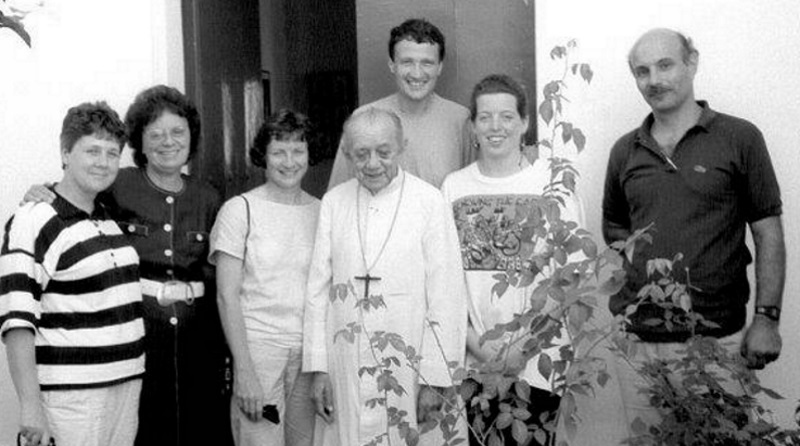 While in Brazil we stayed with Kiltegan priests who were working with young people targeted by death squads. I despaired that anyone could think a teenager’s destitution made them a target rather than deserving of compassion; yet the dehumanisation of one section of society by another is something CAFOD constantly strives against. Catholic teaching tells us every man, woman and child matters and this inspires everything we do on our brothers’ and sisters’ behalf. In the Amazon we stayed with Father Doyle, who was working with farmers whose land was being seized and illegally sold to cattle ranchers. Land-grabbing is an increasing threat for the communities we work with today. Several of our partners have been killed while defending people’s rights, and too many live and work with a price on their head because they stand up for others. Their bravery and commitment is humbling. 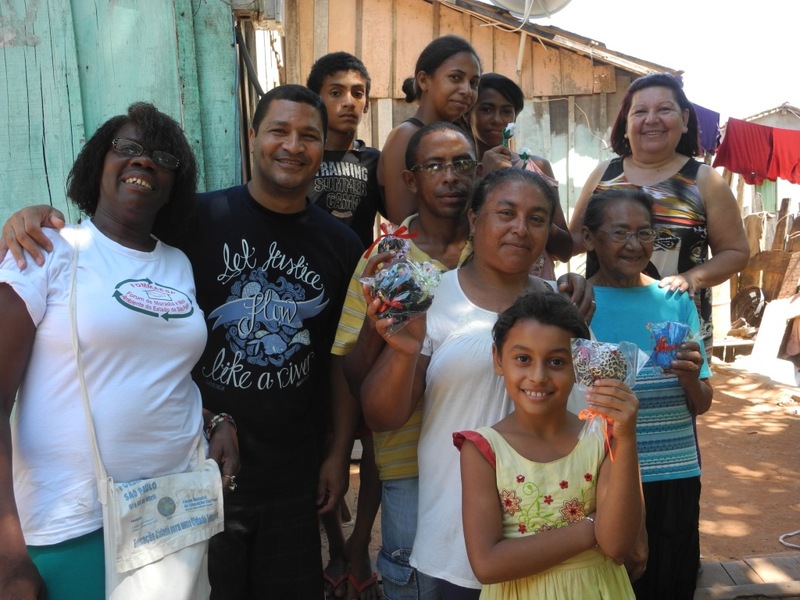 In São Paulo I met gentle Sr Gabriela, counselling families affected by HIV and AIDS. We visited Mauro who, though terminally ill and blind, was travelling for four hours every day to sell matches. As part of our support of Sr Gabriela’s project, we built a room on the back of Mauro’s shack in the favela, so he could have some privacy as he neared the end of his hard life. As our staff and partners risked their own lives to provide dignity to the dead and dying during the recent Ebola outbreak, I remembered Mauro and how small acts of kindness had helped him “feel like a human being”. The emergence and impact of HIV and AIDS couldn’t have been predicted when CAFOD began in the ‘60s. But since 1985, we and our Church partners have been at the forefront of providing holistic care and education to the poorest communities. In recent years, being able to provide antiretroviral treatment means we’ve progressed from providing end of life care to helping people manage their illness, earn a living and support their families. Since I joined CAFOD, the importance of our humanitarian work has increased considerably. The last 20 years have been punctuated by natural disasters on a huge scale including Hurricane Mitch, the 2004 Boxing Day tsunami, Cyclone Nargis, Typhoon Haiyan and earthquakes in Bam, Kashmir, Haiti and Nepal. We’ve also witnessed food crises and conflicts that have killed and displaced tens of millions of people. During these emergencies I feel blessed to be part of such a caring community. 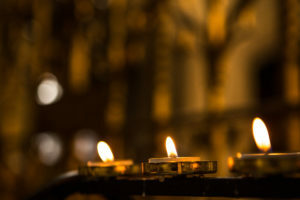 Even when the worst of human nature is exposed, such as during the Rwandan genocide of 1994, my faith has been strengthened by seeing how compassionate people can be. As our supporters reach out to help their brothers and sisters in need, my colleagues and our partners work around the clock to transform donations and prayers into practical help for those affected. For the last three years I’ve been working in the legacy and remembrance team. I enjoy my daily conversations with wonderful supporters, including volunteers and staff I knew when I was parish promotion secretary. 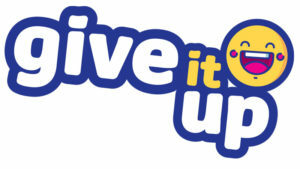 Many are sensibly updating their wills as, like me, they approach retirement. It’s only since joining the team that I’ve become aware of the contribution to our work of the small but precious group of people who include CAFOD in their will or support us in memory of a loved one who’s passed away. It’s truly humbling to know so many wonderful families find it in their hearts to think of others at a time of great personal sadness. Sometimes I recognise the names of those who have left a legacy or are being commemorated as a former colleague or volunteer. While this is always upsetting, I also find comfort and hope in the knowledge their memory and spirit will live on through work they cared about. The daily reminder that there are good and committed people in the world is the aspect of working at CAFOD that I’ll miss most. I’ve been blessed to meet so many inspirational partners, supporters and colleagues over the years; and to have been part of a communal response to historic events. Much has changed during these 26 years. The countries CAFOD works in have altered, the global political context has changed beyond recognition and the challenges we face seem more numerous and complex than ever. Yet our mission and values are the same. Our commitment is still to the poorest of the poor and, with you beside us, we won’t be daunted by the challenges ahead. It has been my honour to walk alongside you on this pilgrimage. Thank you and God bless you for your friendship and kindness. To find out more about leaving a gift in your will to CAFOD’s work or remembering a loved one through a donation visit our website. 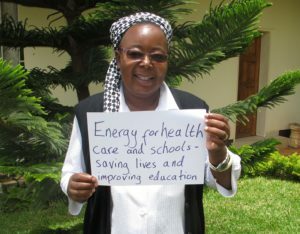 If you’d like to get in touch you can email legacy@cafod.org.uk or call 020 7095 5370. Thanks Heather. Inspiring to hear how the work of CAFOD partners has made such a difference around the world for so many years. Thanks for your contribution to making it happen.